The following is a suggested grouping of selected entries by formal type. In some cases buildings may be categorized in more than one way. Please contact us with your comments. 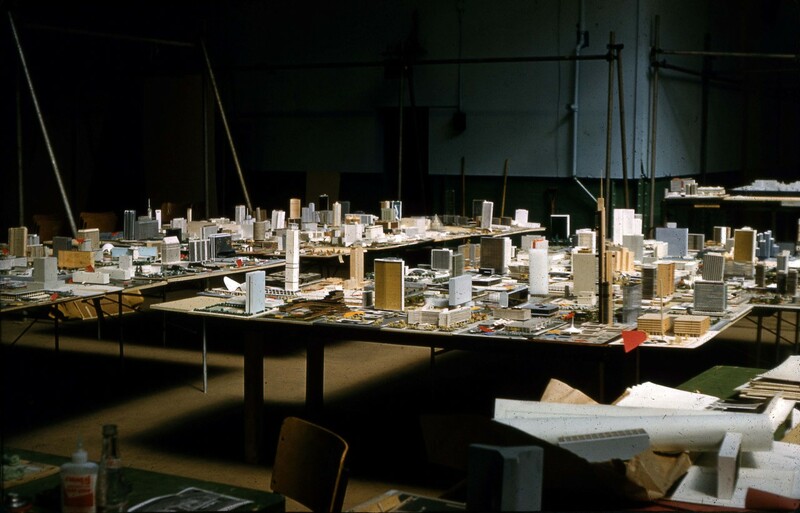 “By its closing date in April 1958, an astonishing 509 bona fide entries had been received,[i] making this the largest architectural competition of its kind to date. [ii] Entries came from 42 countries, with the largest percentage originating in the USA (26%), followed by Canada (16%) and the United Kingdom (13%). The majority of Canadian entrants were from Ontario (62%), and over one-quarter were submitted by Quebec-based architects (27%). The Commonwealth accounted for over one-third of entries (35%), Europe accounted for almost one-quarter (24%), and Central and South America approximately 7%. Japan represented the largest number of non-western submissions (5%), followed by India (2%). The number of female participants is not known, but, writing in the Toronto Globe and Mail, art critic Lotta Dempsey identified at least five (1%)[iii]. The sampling of entries presented here are categorized by form (e.g. 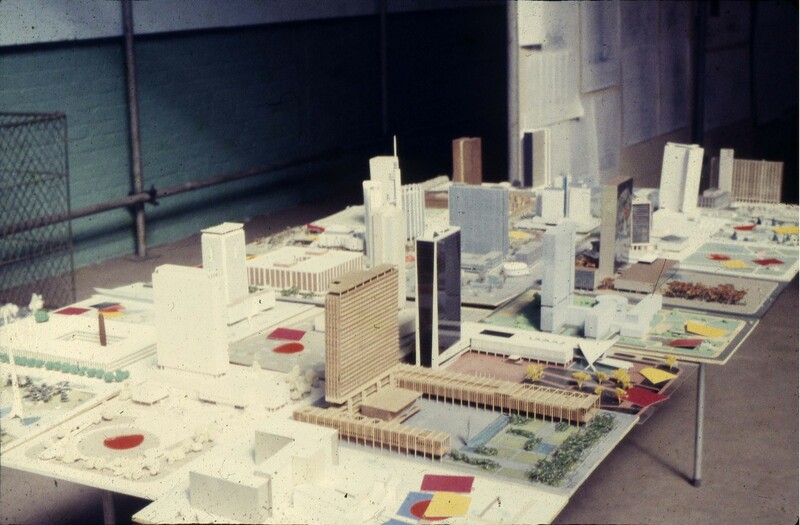 towers, towers with a podium, megastructures, low-rise stuctures, mat-building and composite formal arrangement) and show the range of formal ideas considered to be appropriate for Toronto’s City Hall and Square by entrants." [i] After the first stage of the competition was completed, the official List of Competitors was compiled for Eric Arthur based on the entries received and information assembled. In the lead up to the evaluation, as entries were received, they were assigned a number from 001 to 513. However, only 509 entries were evaluated by the jury as there are four entry numbers for which there is neither a name nor a submission. [ii] “Architectural design competition,” Wikipedia, accessed March 12, 2014, http://en.wikipedia.org/wiki/Architectural_design_competition. [iii] Lotta Dempsey, “The winning architect in the Toronto City Hall Competition could be a woman,” Toronto Globe and Mail (April 23, 1958), 12.